Shelving system with bright or satin stainless steel sides and 10mm transparent glass shelves. 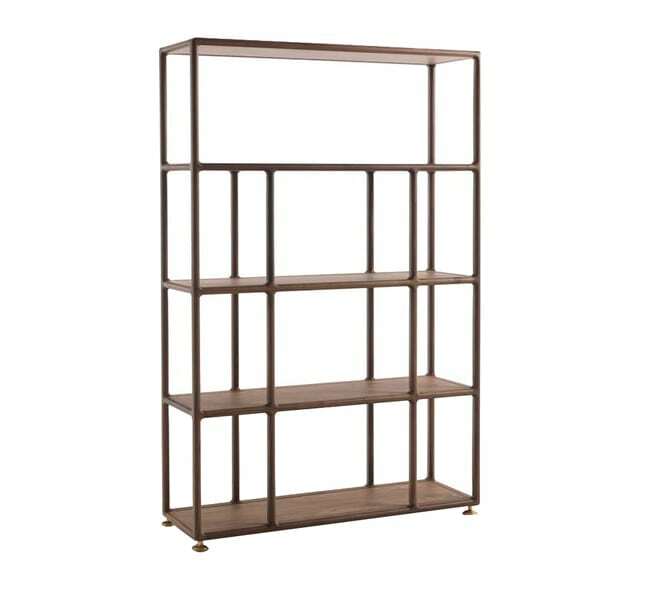 Available with burnished metal sides and 10mm smoked Grigio Italia glass shelves. Finish: Whitened Oak, Wenge Stained, Tabacco Stained or Black/White Open Pore Lacquered Wooden Parts. Shelving system with bright or satin stainless steel sides and 10mm transparent glass shelves. Available with burnished metal sides and 10mm smoked Grigio Italia glass shelves. Finish: Whitened Oak, Wenge Stained, Tabacco Stained or Black/White Open Pore Lacquered Wooden Parts. Dimensions (WxDxH) 01: 1240x440x1940mm. 02: 2460x440x1940mm. 03: 3680x440x1940mm.